The Browns, though, are working with the NFL to get around that, hoping to allow their newly signed running back to remain with the organization while he serves that suspension, according to Mary Kay Cabot of Cleveland.com. The goal, per the report, is to allow Hunt to continue to work out at the team facilities and attend team meetings during the suspension — both of which would be extremely beneficial for a running back entering a completely new organization. Video surfaced in November of Hunt shoving and kicking a woman in a Cleveland hotel in 2018, and he was investigated for punching a man at an Ohio resort. 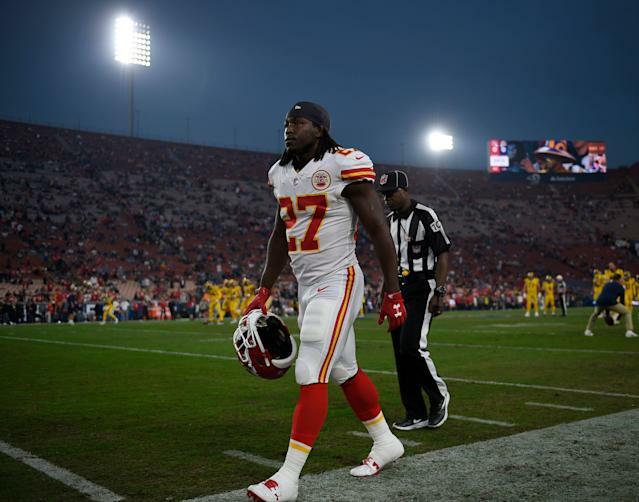 Hunt was quickly released from the Kansas City Chiefs and suspended by the league for the first eight games of the 2019 season. The Browns then signed Hunt to a one-year deal in February. Part of Hunt’s treatment protocol takes place at the Browns’ facility, too, something general manager John Dorsey said he hopes to continue even when the suspension kicks in on Aug. 31. Either way the ruling comes down, Dorsey said, the Browns will be prepared. Dorsey also said he has been extremely happy with how Hunt behaved since he joined the team last month.